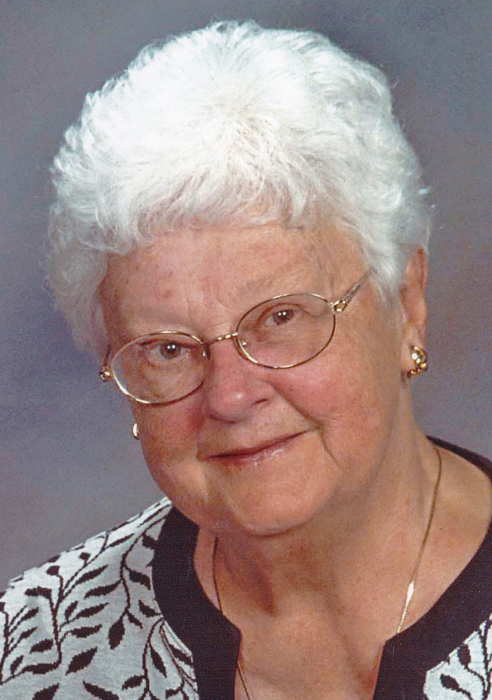 Virginia Mae Campbell, age 89, passed away on Friday morning, April 12, 2019 at Healthwin in South Bend, IN. She was born on May 5, 1929 in South Bend to Edward and Anna (Paczesny) Pilarski, both of whom preceded her in death. On July 20, 1957, Virginia married John F. Campbell at Christ the King Catholic Church in South Bend. In addition to her loving husband of 61 years, Virginia is survived by daughters, Julie (Brent) Harnish of South Bend; Jill (John) Stevens of New Carlisle, IN; and Joni (Mike) Ames of La Porte, IN; son, John (Diana) Campbell of South Bend; four grandchildren, Kathryn Campbell, Heather (Billy) Springer, Brandon Ames, and Jaidan Stevens; one great-grandchild, Ryder Springer; and sister-in-law, Kathryn Butts. Virginia was employed as an executive assistant for ten years at University of Notre Dame. She also worked as a school aide at South Bend Community School Corporation, and as an administrative assistant at German Township Assessor’s office until she retired. She was a lifelong resident of South Bend. She attended St. Anthony Parish in Buchanan, MI, and later, Corpus Christi Catholic Church in South Bend. Mass of Christian Burial will be celebrated at 10:00am on Monday, April 15, 2019 at Corpus Christi Catholic Church, 2822 Corpus Christi Drive, South Bend, IN. Graveside services and burial will follow at Southlawn Cemetery in South Bend. Friends may visit with the family from 2:00-6:00pm on Sunday, April 14th at Palmer Funeral Home—Hickey Chapel, 17131 Cleveland Road, South Bend, IN. In lieu of flowers, contributions in memory of Virginia may be donated to St. Joseph County 4-H Horse and Pony Club, ATTN: Kathy Wolff, 380 Sycamore Road, Walkerton, IN 46574, or to Corpus Christi Catholic Church, 2822 Corpus Christi Drive, South Bend, IN 46628. Online condolences may be left for the Campbell family at www.palmerfuneralhomes.com.